Draft: 2015, New York Yankees, 11th rd. Played two seasons at the University of Louisville (KY) from 2014-15…Was a 2015 All-ACC Second Team selection… Graduated in 2013 from New Albany (IN) HS, where he was named Area Player of the Year as a sophomore and All-State honorable mention as a junior. April 11, 2019 Baltimore Orioles optioned LHP Josh Rogers to Norfolk Tides. April 10, 2019 Baltimore Orioles recalled LHP Josh Rogers from Norfolk Tides. March 25, 2019 Baltimore Orioles optioned LHP Josh Rogers to Norfolk Tides. August 28, 2018 Baltimore Orioles selected the contract of Josh Rogers from Norfolk Tides. 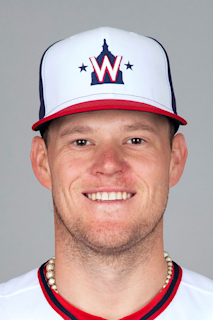 July 25, 2018 LHP Josh Rogers assigned to Norfolk Tides. April 6, 2018 LHP Josh Rogers assigned to Scranton/Wilkes-Barre RailRiders. February 27, 2018 LHP Josh Rogers assigned to New York Yankees. September 18, 2017 Trenton Thunder activated LHP Josh Rogers from the 7-day disabled list. July 18, 2017 Trenton Thunder placed LHP Josh Rogers on the 7-day disabled list retroactive to June 29, 2017. Left elbow soreness. April 11, 2017 LHP Josh Rogers assigned to Tampa Yankees. March 18, 2017 LHP Josh Rogers assigned to New York Yankees. April 28, 2016 LHP Josh Rogers assigned to Tampa Yankees from Charleston RiverDogs. September 28, 2015 Charleston RiverDogs activated LHP Josh Rogers from the temporarily inactive list. August 21, 2015 Charleston RiverDogs placed LHP Josh Rogers on the temporarily inactive list. August 4, 2015 LHP Josh Rogers assigned to Charleston RiverDogs from Staten Island Yankees. July 18, 2015 LHP Joshua Rogers assigned to Staten Island Yankees. July 17, 2015 New York Yankees signed LHP Joshua Rogers.